Just Us! Coffee is facing several challenges as it tries to reduce its environmental footprint. It needs to collect its used bags and then find a company to recycle them. Just Us! 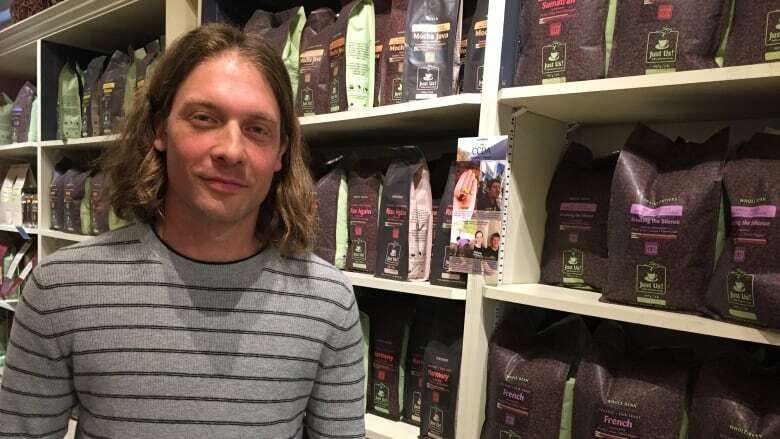 Coffee sells thousands of bags of coffee to grocery stores and cafés every year, mainly in Atlantic Canada, but also in Ontario and Western Canada. 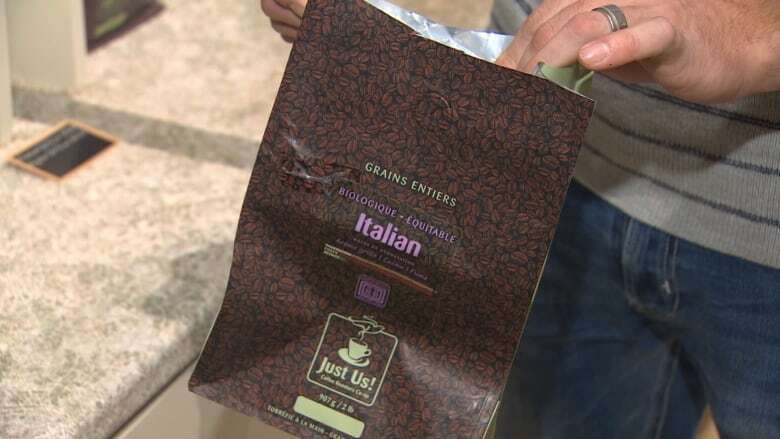 General manager Joey Pitoello says the bags have two layers of plastic separated by aluminum foil. It's the best way to keep the coffee fresh, but because it's made up of several kinds of material and then stuck together, it can't be recycled in a traditional facility. Pitoello would like the bags to have a longer life, so he's been researching different solutions. "Our most recent exploration has been with a company that turns this stuff into plastic lumber," said Pitoello. "For us, that's a longer-term use of material so it doesn't end up in the landfill, or at least not for a long time, and it can be used afterward for the construction of a building. That would be better, in our minds." Pitoello is in discussions with Dan Chassie, president of Halifax C&D Recycling Ltd. 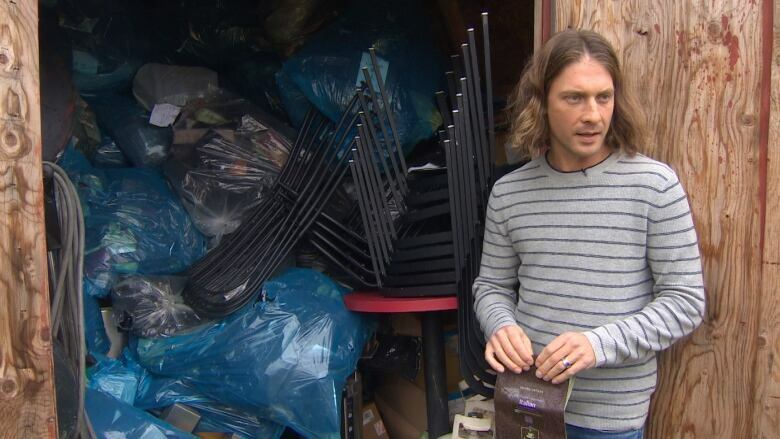 The company makes plastic lumber out of these kinds of products for items like patio furniture, said Chassie. But the details have yet to be finalized. The other challenge is getting the used bags to one place so they can be recycled. Currently, only the Just Us! locations in Wolfville and Grand Pré accept used bags. Pitoello is asking customers who live near Wolfville and Grand Pré to bring their used bags back to those locations. He's storing them in a shed until he can finalize how to recycle them. He also is working on collecting them on a broader scale. "So in Wolfville and Grand Pré, people have their bags, they're driving through" says Pitoello. "Locals obviously make use of that service. But that's a very small footprint." By 2019, he hopes that the collection service can grow more broadly to other places where the coffee is sold. "It would come in a form of a collection box. It would be branded. It would be obvious what it was there to do. And hopefully some key strategic partners of ours would be interested in carrying that," said Pitoello. But transporting them back to a recycling facility is a cost Just Us! would have to absorb. Pitoello said government has a role to play, both in the collection and recycling of plastics. "As a smaller business, we don't have the resources to create a whole collection network across Canada," he said. "We're working within our own resources to do what we can but there definitely needs to be some leadership around this issue." He points to countries like Germany where "the expectation is out there for all companies to do it. And the cost of that is built into all companies' product." Overall, the effort is important to Pitoello, since it's something he says customers want. "At Just Us! we're really focused on environmental and social justice and that includes sustainability solutions. And it's been a really disappointing thing for us not to be able to find a good solution to this problem." 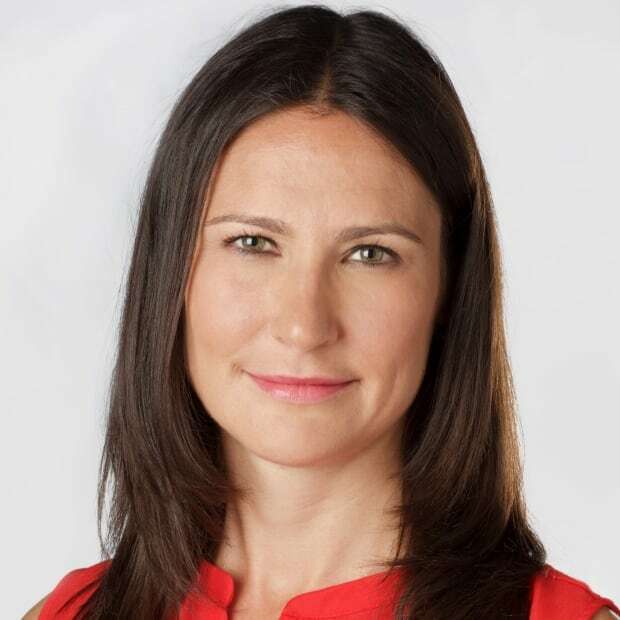 Sabrina Fabian is a bilingual reporter based in Halifax with more than 10 years experience. She has worked in TV, radio, online and in print. She is originally from Montreal and previously worked in Banff and Calgary.